Hi Everyone and Happy Friday to you! I hope you have a fun filled weekend planned. Can not believe it's almost June? Wow, where did May go? Yikes...summer will be here and gone before we know it! I love Fridays because once again we have the Fun Friday Challenge going on at Little Scrap Pieces! The challenge this week is: Graduation! Let's see all your cards, layouts or fun projects for those Graduates! I added some adorable googly eyes that I had in my stash. I used My Craft Spot's lemon drop twine for the fun tassel and the double bow. I stamped the sentiments using My Craft Spot's new Cute Critters stamp set. I finished it with some yummy sailboat blue and ginger skittles from my friend Carri. Be sure to stop and check out what the DT has created for you and then come back and join in! We would love to see your graduation creations! Hello Everyone! I hope you all had a wonderful weekend and a happy and safe Memorial Day! We kept busy all weekend working hard at my son's home. Unfortunately, I was not able to get in my craft room this weekend :( I was so bummed as I was really missing it! So, I decided this afternoon as soon as little Arya was picked up I was going to make a card for a few challenges that are going on!! 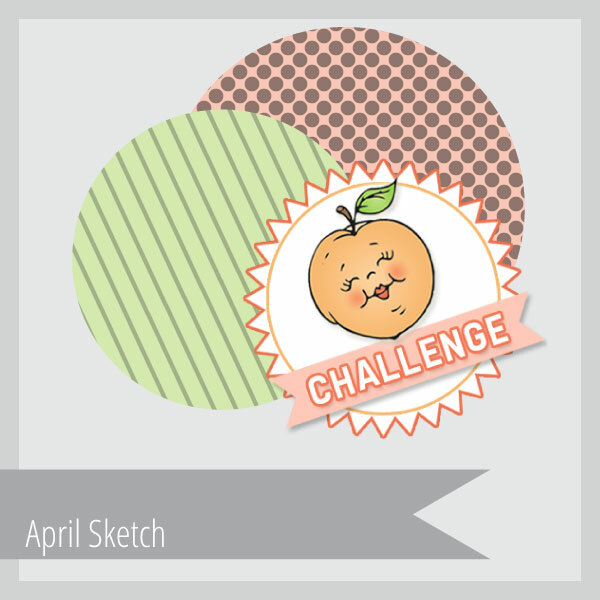 I am sharing a card that I made for the Peachy Keen Challenge 13-21:: Anything Goes challenge. I made a shaped card using the Elegant Edges cartridge. I welded the base at 4.26 x 9.97 and the base layer at 4.18 which I embossed with the Papaya Halves folder. The adorable ant is a Silhouette cut file that I cut using my Cameo. It is cut at 3.75 x 5.12 plus the layers. I embossed the white of the eyes with the polka dots folder and then added google eyes to the center. I added some foam tape and then popped this cutie on the mat. The grass is cut at 1.12 and 1.28 from the Create A Critter cartridge and then embossed with the polka dots folder. The sun is cut at 3 1/4 and then stamped the adorable face using the PKSC-15 March stamp set. I tied a fun double satin bow, a double twine bow using lemon divine twine from My Craft Spot and added a fun chevron button which is from Recollections. The sentiment is stamped with My Craft Spot's new Feel Better Soon stamp set. Hello Everyone! I am sorry I haven't had the chance to post much this week. It has been extremely busy for me lately! We are still working on my sons place and things are really coming along. Kitchen flooring was installed yesterday and carpet gets installed next week:) Yay, what a LONG project this has been but it's starting to come together!! Thank goodness, because it is dipping into my craft time, lol!!! Darn it anyway! With it being Friday...you know what happens on Friday! It is Fun Friday at Little Scrap Pieces and we have another great challenge this week! I used a Spellbinders Decorative Labels Twenty Two for the base and base layer of my card. It is about a 3 1/2 x 3 1/2 card. I embossed the red mat with the spots and dots folder. I then followed it with a Spellbinders Labels Twenty Two and then popped this adorable image that I cut at 2 1/2 from A Child's Year cartridge. I used My Creative Time's Vintage Stitched Labels Die for the banner and inked it with TH weathered wood. I then stamped the sentiment with My Creative Time's My Little Firecracker stamp set. I topped it off with a yummy bow using SU real real striped ribbon I had in my stash. Be sure to pop over Little Scrap Pieces and check out the amazing inspiration for this challenge! Thanks for visiting and have a wonderful and safe Memorial Day! Hello Everyone! I hope you all had a fantastic weekend! I can't believe how fast they come and go though:( It rained here on and off but we still managed to get a lot done which felt good. Today we have a fun challenge going on at My Craft Spot and hope you join in the fun! My card for today is made using My Craft Spot's NEW tickets metal dies and the tickets stamp set. I have made a fun shaped card using the Create A Critter cartridge. I used my gypsy to weld the shape and cut it at 4.75 plus all the layers. I cut the cute little bumble bees at 2 1/2 and 2 3/4 also using my gypsy to hide the face features so I could stamp a fun PK face. I stamped the face with PK-180 Erkle & Merkle face set. SO cute, ha? I added a fun caribbean twine bow, freckles and glossy accents to the eyes. To finish my card, I tied a double bow using caribbean crinkle ribbon, a caribbean twine bow and a fun button and tucking in a fun tag using My Craft Spot's NEW tickets die set and tickets stamp set. I cut a small strip along the bottom using coordinating paper from this pack and then added a doily border with a Martha Stewart doily punch. I used My Creative Time stitched doily die for the doily and My Creative Time stitched daisy die for the pretty flowers. Hello Everyone! I hope your having a great week so far! It has been pretty nice here the last few days, all I want to do is spend time outside!! So, did you all have a nice Mother's Day? I was able to spend Saturday with my Mom and Sister. We had a blast shopping and going out to eat! Then on Sunday, we had a BBQ in the afternoon with my kids. It was a great day-hope you enjoyed yours! Today is my Design Team day over at My Craft Spot and I would love to share a quick card with you using My Craft Spot's Birthday Wishes stamp set. My card base is 5 1/2 by 5 1/2, cutting the base layer at 5 1/4 and rounding the edges. I used my Cameo and cut this yummy ice cream cone using a cut file from Silhouette. I cut it at 2.45 and embossed the cone layers with the Divine Swirls folder. I added a yummy brown string bow from My Craft Spot and a cool clear button that I purchase from Liz's Paper Boutique. The pennants are from the Spellbinders Nested Lacy Pennant dies. The sentiment is stamped with My Craft Spot's Birthday Wishes stamp set onto a SU scallop oval and then layered on the pennants. I finished the card by adding a fun bow using polka dot ribbon from SU that I had in my stash. The whole time making this card, all I thought of is how yummy a ice cream cone would taste about now, so.........I think Arya and I are off to the Dairy Queen, lol! I hope you like my card and thanks for visiting! Have a great day! Hi Everyone and Happy Friday! I hope you have all had a great week and looking forward to the weekend! I am looking forward to catching up on some rest. After being on vacation and running the whole time, I think it's caught up with me.....I am pooped out, lol! We have another awesome challenge for you at Little Scrap Pieces and hope you come check it out and then come join in:) We'd love to see your creations!!! This weeks challenge is: Mothers Day! get totally spoiled and pampered!!! I made a fun folded note card holder that was inspired by a birthday gift I received from my friend and blogger buddy, Karen just a few weeks back. I just loved it and thought it would make such a great gift idea as well. I dropped Karen a message and she sent me HERE for all the directions to make this awesome holder. I used pattern papers from Bo Bunny and Lasting Impressions for this project. After completing the holder I made 4 cards to fit inside and on the other side I added a smaller note pad of paper and 4 envelopes. I made the handle by using a SU oval scalloped punch and tied a fun double bow with ribbon from my friend, Karen at Little Scrap Pieces to keep the bag from opening. I tucked in a ticket tag using My Craft Spot's Ticket Die set and the sentiment is My Craft Spot's Postage Stamps stamp set. I added a small scalloped oval and oval circle to the front of the holder and stamped "UR the Best" with My Craft Spot's Tiny Tags 2 stamp set. Hope you enjoyed my project! Be sure to go check out what my amazing DT has created for you for inspiration HERE! Their projects are FABULOUS!!! Hi Everyone! I am back and hoping to make my rounds and visit your blogs to see what you've all been up to :) I will have a little free time over the weekend so if I haven't made it by, I will real soon! We had a wonderful time visiting my son who lives in New York. It was our first time in NY so we were pretty overwhelmed but we had a blast!! He lives in Manhattan so it made it easy for us to just catch up with him each morning. We'd either meet at his place or the Waldorf Astoria Hotel which was where we were staying. Wowzers....what a as gorgeous hotel! While we were there, we managed to squeeze in game 3 of the Stanley Cup Playoffs between the Islanders and Penguins. What an awesome game! We are hoping to go back real soon and take in some more places. We kind of ran out of time and didn't get to go to all the places on our list. We would definitely go again.....it was a great place to visit! I am missing my craft room like terrible and hoping this weekend I will have a little more time to craft! I made a quick project this morning to join the Peachy Keen Challenge 13-18 3D Object :: Flowers challenge that is going on along with a few others listed below. Hope you like it! I made this for baby Arya to give her Mommy (my daughter) for Mother's Day. I started off with a muslin bag that I purchased from 3Girl JAM and stamped this adorable bear on it with PKSC-13 Jan set stamp set and colored it with copics. I added rosy cheeks, freckles and a fun shabby chic paper rose to dress this cutie up some. The sentiments are from My Craft Spot's Tiny Tags 2 stamp set. I topped it off with adding a fun gingham bow a prima flower and shabby chic flower and then filled the bag with yummy dove milk chocolates. I made a matching little 3x3 card. The flower is My Creative Time's stitched daisy die and the sentiment is My Craft Spot's Happy Easter stamp set. I love the font on this set! Little Scrap Pieces Fun Friday Challenge-It's a bugs life! Happy Friday all my crafty friends! Yeah for the weekend!! As you know, I am on vacation and hoping this posts as scheduled :) I am keeping my fingers crossed! Today, we have a FUN Friday challenge going on at Little Scrap Pieces and hope you come play in the challenge. We would love to see what you create! This weeks challenge is: It's a bugs life!! I started off with a Spellbinders Grand Labels Four for the base and another layer which I embossed with the cuttlebug flower folder. I followed that with a Spellbinders Elegant Labels Four then a Spellbinders Label Four. I topped that with a My Creative Time stitched doily and a Spellbinders circle die which I stamped a beautiful sentiment with Inspired by Stamping Heartfelt Gratitude stamp set. The butterfly (my cute bug) is cut at 2" from the Artiste cartridge. I have added a pretty black double sheer bow and twine bow with My Craft Spot's butter cream twine and topped it with a fun clear button from Liz's Paper Loft. Be sure to check out what the amazing DT has created for you over at Little Scrap Pieces! Hello all my crafty buddies and happy Wednesday! I hope your having a great day! I wanted to let you know my hubby and I are taking a small vacation and will be gone a little over a week. Our days are filled with a lot to do so I probably won't have much Internet time. I do have my DT projects scheduled to post but probably won't be visiting your blogs much until I get back. 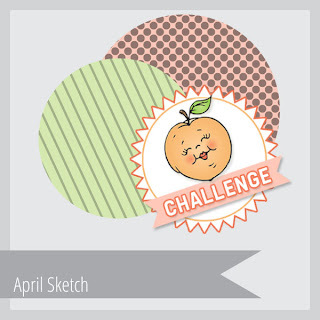 Before I go, I am sharing a card that I made for the Peachy Keen Challenge 13-17:: Sketch Challenge. We are to create a card or project using this sketch provided. For the circles on the sketch challenge, the first thing that came to mind was My Creative Time's stitched doily dies. Fun ha? I popped this adorable skunk which I stamped from the PK288-Skunk Cheer Up set and then fussy cut out. I added a cute My Craft Spot lemon tart twine bow to the skunk along with some doodling. The banner was cut at 3/4 from the Artiste cartridge. I stamped the sentiment with the PK194-Wise Crack sentiment set and then finished it with a yummy bow with My Craft Spots buttercup crinkle ribbon. The papers are from My Minds Eye-Breeze collection.